1990-1996 MFA and BFA, Honors Degree in Sculpture, Tbilisi State Academy of Fine Arts, Tbilisi, Georgia. 1986 - 1990 Associate Degree with Distinction. I. Nikoladze Art College sculpture Department, Tbilisi, Georgia. 1998 - 2001 - Chairman of the Young Sculptors' Union of Georgia. 1996 - 1999 Senior lecturer of sculpture and drawing, at the facility of Fine and Decorative/Applied Art, State University of Art and Culture) Tbilisi, Georgia. 2015 - "Art Shopping 2015" Carrousel du Louvre, Paris, France. 1997, 2000 - International Christmas Exhibitions. Georgian National Picture Gallery. 1999 - Christmas Exhibition, Georgian National Picture Gallery. Tbilisi. Georgia. 1999 - UN WEEK "Young artist's Exhibition", Georgian Modern Art Gallery. Tbilisi. Georgia. 1998 - "Greece in Georgian Modern Art", Georgian National Picture Gallery. Tbilisi. Georgia. 1998, 1996 - Christmas Exhibition, "TMS" Art Gallery, Tbilisi Georgia. 1997 - Group Exhibition, "TMS Art Gallery Tbilisi, Georgia. 1997 - "Exhibition III", "TMS Art Gallery", Tbilisi, Georgia. 1996 - "Georgian Art" Gallery "Orient", Tbilisi, Georgia. 1996 - "Romantic Allusions", Georgian National Picture Gallery. 1994, 1996 - Georgia/Germany Art Festivals "Gvinobisa", Tbilisi, Georgia. 1995 - Black Sea Countries International Christmas Festival. Georgian National Picture Gallery. Tbilisi. Georgia. 1995 - Exhibition of Young Artists, Georgian State Museum of Art. Tbilisi. Georgia. 1994 - Group Exhibition, Georgian State Museum of Art. Tbilisi. Georgia. 1993 - Group Exhibition, Tbilisi State Academy of Fine Art, Tbilisi, Georgia. 2008 - Honorary Award in Sculptural Pursuit Magazine 5th Annual Sculpture only Competition for sculpture "She Seemed So Pure"
2002  Appointed Corresponding Academician in the Department of Arts, by the Accademia Internazionale “Greci - Marino”; Academia Del Verbano Di Litery, Arti, Acienze. Italy. 2001  Visual Artist-in-Residence Program Grant.. Studio Midwest. Galesburg, IL U.S.A.
1998  The winner in “Cartu” Charity foundation’s Art Competition. Personal exhibition. 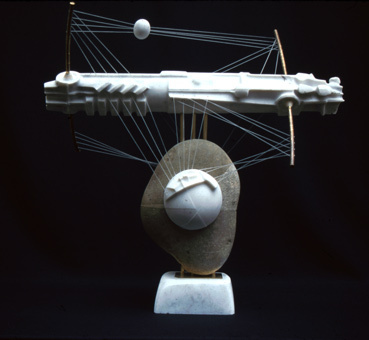 1997  Award “The Best Work of the Year”  for the sculpture “White George” awarded by Georgian Artists’ Union. Georgia. 2006  Member of Washington project for the art. 2002  Member of Accademia Internazionale "Greci - Marino"; Academia Del Verbano Di Litery, Arti, Acienze. Italy. 2011  International Contemporary Artists Vol. II. ICA Publishing Athens Greece. 2008-2009 Artist Directory - Washington Project for the Arts. April 2010 N8 (112) - Publication in the art and literary magazine "Chveni Mcerloba"
August 2003  Collaborative project of USA State Department and USA Embassy in Tbilisi Georgia, “Rustavi 2” TV interview in Agora Gallery New York NY, USA. 25 May 2002 - Publication in the newspaper "NEA KRITI" Chania, Crete, Greece  “Center Omma Paintings and Sculptures Group Exhibition”. February 2002 - Publication in the newspaper "Newcity". Chicago. February 8, 2002 - Publication in the newspaper "CHICAGO READER", Chicago. March 2002 Vol.4 No.3 - Publication in the magazine "GALLERY & STUDIO" New York. - “George Tkabladze: Connection with Grand Sculptural Traditions”. 1998 Vol.1 Issue 5 - Publication in the magazine "Profile". (Georgia/Caucasus). 25 January 1998, N 170 (1218) - Publication in the newspaper “Rezonansi” Tbilisi Georgia. 2 March 1995, N 14(107) - Publication in the newspaper “Axali Taoba”, Tbilisi, Georgia - “Group Exhibition in the State Museum of Art”. 21-28 April, 1995, N 16(6117) - Publication in the newspaper “Literaturuli Sakartvelo” Tbilisi, Georgia. - "The Youth Exhibition"
1998 - 4 exhibitions catalogs . TMS Art Gallery, Tbilisi. Georgia. 1998 - TMS Art Gallery's collection. Tbilisi, Georgia. 1996 - "Romantic Allusions". National Picture Gallery. Tbilisi, Georgia. 1996, 1994 - German/Georgian Art Festival "Gvinobisa", Tbilisi, Georgia.